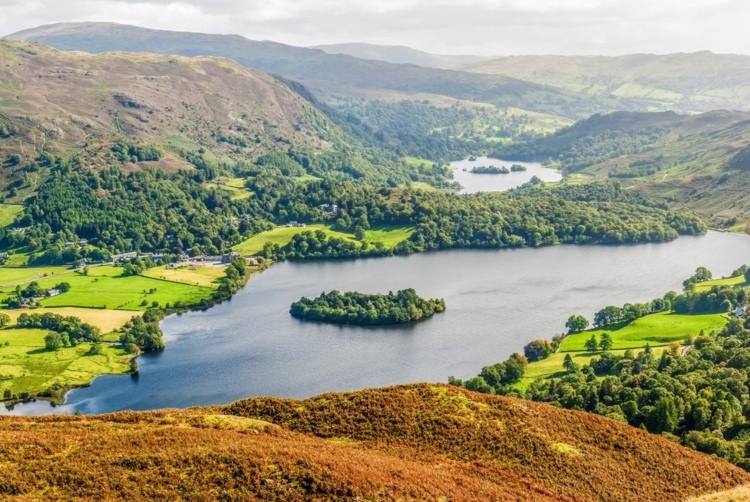 Silver Howe: this is one of our favourite Grasmere walks. Silver Howe looms over Grasmere and is a great place to spend your time enjoying views across Grasmere and Lakeland. There are numerous paths to the top of Silver Howe, with two main walking routes from Grasmere. 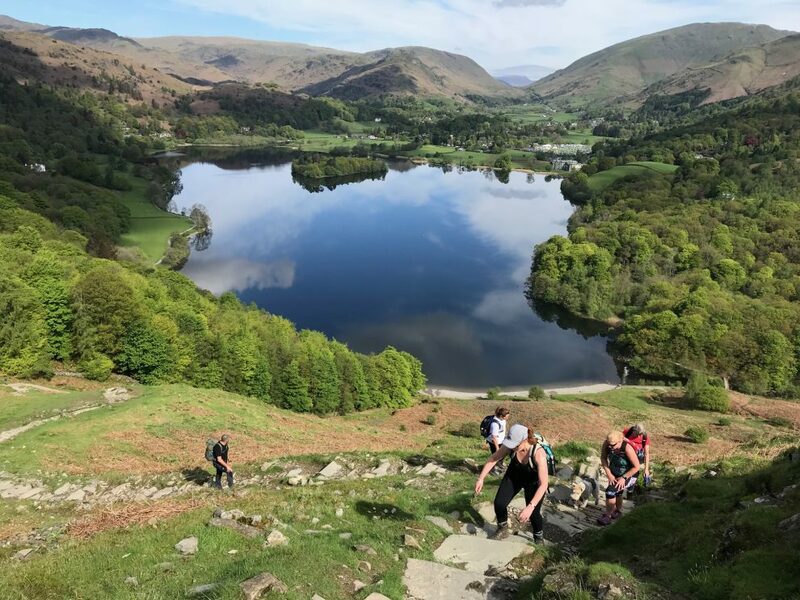 Both routes provide fine scenery and views across Grasmere, the Helvellyn range, Helm Crag, Bowfell, Fairfield and the Langdale Pikes. 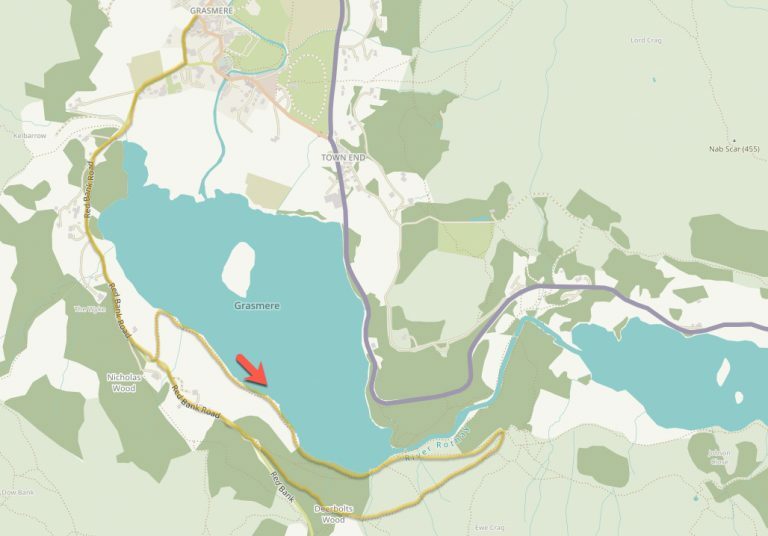 The walk is relatively easy and shouldn’t take more than a couple of hours to complete. 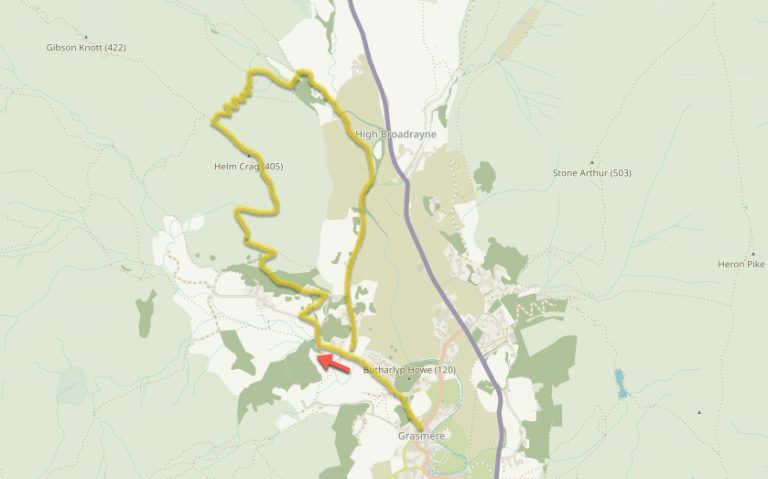 Our recommended route is via Allan Bank which takes you over a high plateau to the summit and back down to Grasmere via some the steep steps. Silver Howe is a walk suitable for everyone and a great way to see some stunning Lake District views with relatively little effort. Helm Crag, also known as the ‘Lion and Lamb’ is one of the most recognised and visited fells in the Lake District. 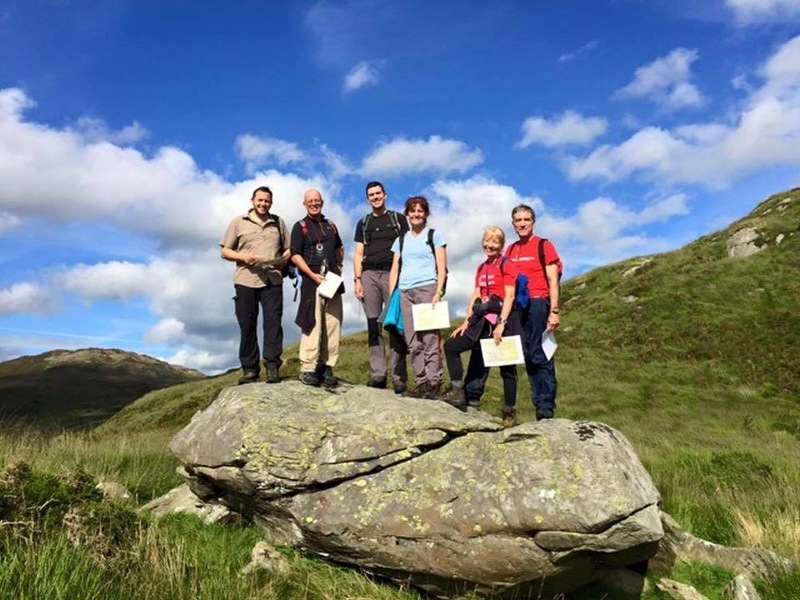 Helm Crag is short yet steep walk and offers great views over Grasmere and in to Far Easdale. 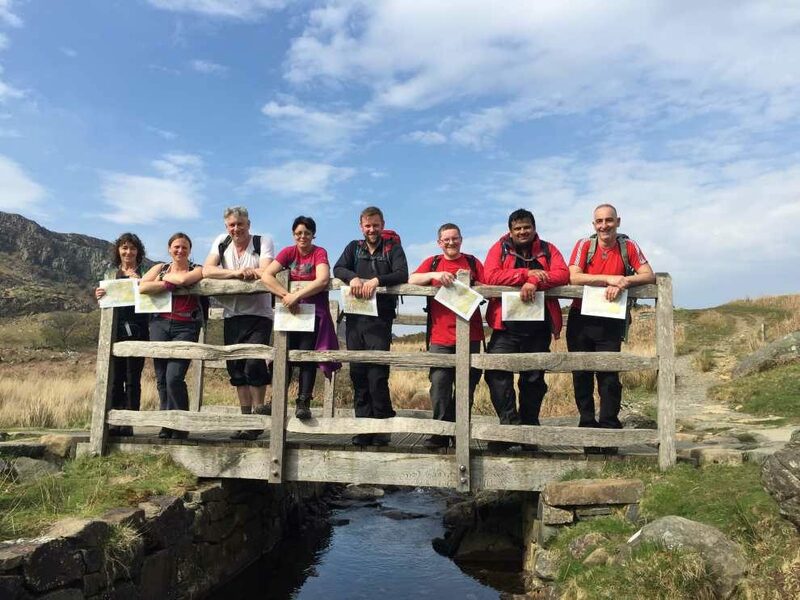 The route is along Easdale Road to Lancrigg where a steep climb takes up on the zigzag path to a couple of short, yet easy scrambles. The scrambles shouldn’t cause you any issues but they can be avoided if you stick to the left side. Once you are past the steep bits the summit of Helm Crag is easy to find The summit is named ‘The Howitzer’, which is a steep chunk of rock, is famously known as the only Wainwright summit that he (Alfred Wainwright) didn’t actually get to the very top. Climb with caution if you want to get to the top of the ‘true summit’ Most walkers head back down to Grasmere via the same route. However, you can either head down the zigzags to Green Burn (lovely waterfalls) which takes you over the other side of Helm Crag (our recommended route) or you can continue to Gibson Knott and Calf Crag and make this a much longer day. 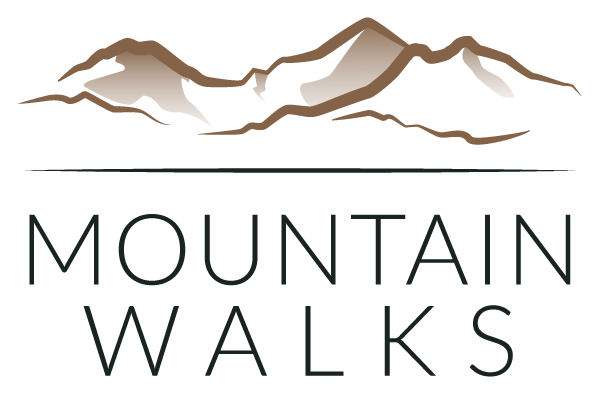 This is a fantastic fell and a great half day walk. 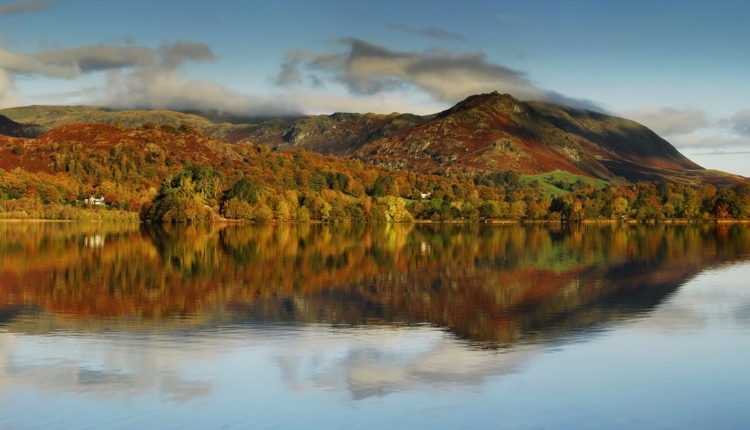 It is one of the most popular Grasmere walks so it can be busy during peak season. One of the most popular short walks in Grasmere and a great way to spend half a day when in Grasmere. 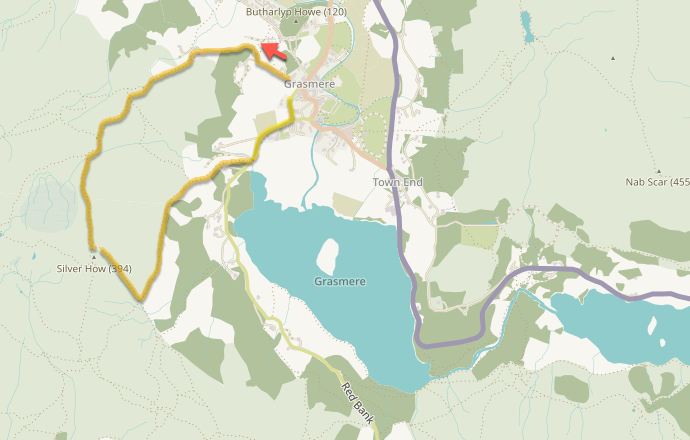 The Grasmere Lake Walk leaves the village via Tweedies Bar & Lodge and follows the Red Bank road towards the lake. Walk on the road (watch out for vehicles) for around 1.5km (20-30mins). You will come to a gate and a downhill path that takes you away from the road and down to the lake. Follow the path alongside the lake short to the far side of Grasmere (lake) and enjoy the views across to the village and the local fells. We would suggest continuing on the path towards the woodland and Rydal Water. 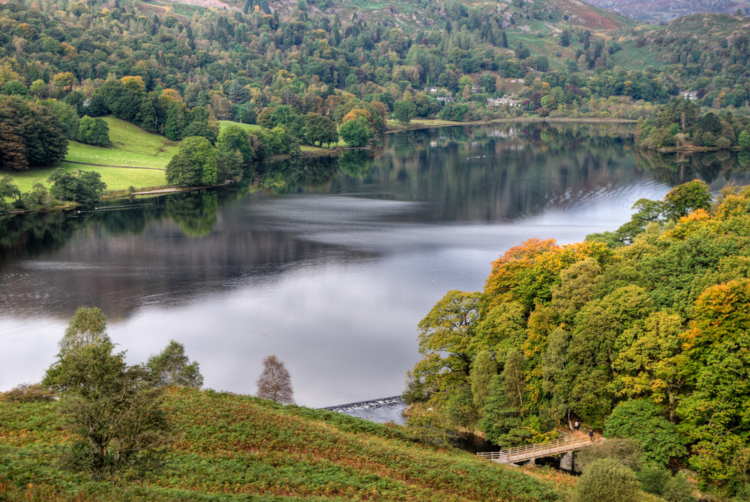 There is a path that takes you up to Loughrigg Terrace which will give you some stunning views of Grasmere. From Loughrigg Terrace you can take a couple of paths back down to the lake shore and walk back to Grasmere along Red Bank road.